For many years I had a gym membership at large impersonal place which I visited seldom. Occasionally I would go there for cardio or lift a weight just to reduce my guilt from paying monthly fees. Then I found the Fitness Studio at Annapolis. Not only was the space intimate and personal, so were the trainers. 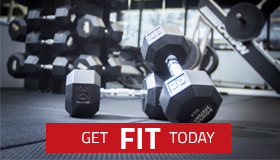 Unlike the old gym, the fitness studio is a “one on one” hour exchange between a professional trainer and you. What began as a once a week session “until I got back into shape” is now a twice a week session for life! I replaced my guilt of an unused impersonal big box gym membership, with real results. All of the trainers at the Fitness Studio are committed to the health, fitness and overall quality of life for their clients.